Happy Friday Friends! I’m excited to join in again with Michelle Lately and Puppies and Pretties for their Reading Lately link up. I have been feeling a huge sense of competition with myself to read lots of books. Since I failed at my reading challenge last year, I’m determined to beat it this year. So far I’m off to a good start! 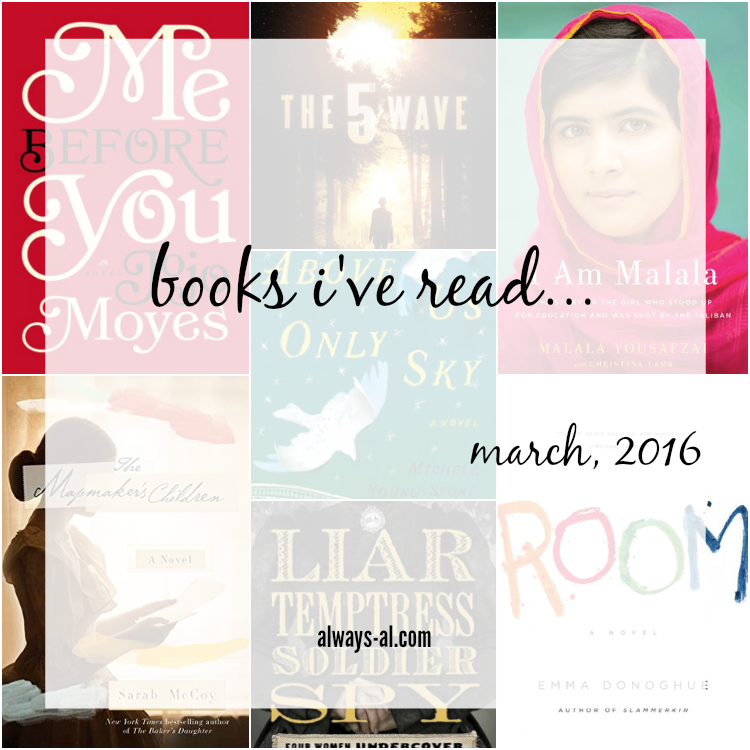 I read 7 books this month! I cried when I read this. And I read it in two sittings. I picked this up at a book resale shop a few months ago, and it has been on my list since then. I hear nothing but good things from others who have read it, and I wholly agree. I heard a rumor that it might be turned into a movie (anyone?) and I can’t wait to see it. When the movie came out for this, I knew I had to read it first. I don’t mind spoilers, but I find that I just can’t get into books as much when I see the movie first. This book was so good, and I think the movie just added to its greatness. This has been on my ‘to read’ list on Goodreads forever. I think I scanned it once at Barnes and Noble. This book is good in theory, and I didn’t dislike it. I liked the stories, but I thought it jumped around a little too much. I put this book down about 2/3 of the way through. I read this for a book club that I’m joining in on in April. At first I started out really thinking I would like this story, but I had a hard time with the surrealism in it. Do the women really have wings? I thought the characters were good though. This book is right up my alley. Historical fiction with just a touch of current. I didn’t know much about John Brown and the Underground Railroad before I read this book, and it might now be something I do more reading on. I loved that the book was told in parallel perspectives between Sarah Brown and Eden Anderson. Also, I want to know more about Cleo. **This book was sent to me for review by Blogging for Books. I am just blown away by how mature and well-spoken Malala is. As a young teen, she stood up against a terrorist organization. When I was her age, I was learning how to use makeup, and chatting on AIM. Her story is so inspiring, and I am definitely going to pay closer attention to her now. I think the movement for girls’ education is so important. I just finished this book the other day, because as always, I want to see the movie. The plot seemed intriguing at first, but as I got more into the story it kind of fell apart. The book didn’t need to be as long as it was, for sure. I think the whole post-apocalyptic genre is interesting, and I generally enjoy it. However I think the author was grasping at straws a little bit with this one. 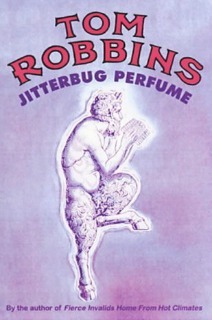 Next on the list is Jitterbug Perfume by Tom Robbins. A friend gave this to me, and said that it was something I had to read. I’ve never read any Tom Robbins books, so we will see! Remember that Monday is the Awkward and Awesome link up! Don't forget to join in with your list!